In The Thrill of Falling, Witi Ihimaera continues his exploration of the novella and the long story begun in his last collection, Ask The Posts of the House (2007) with a new set of intriguing narratives: urban fiction in 'Maggie Dawn'; contemporary comedy in 'We'll Always Have P... read full description below. 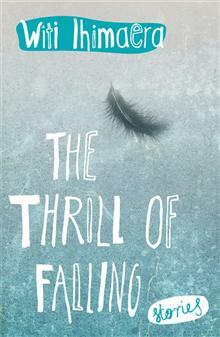 In The Thrill of Falling, Witi Ihimaera continues his exploration of the novella and the long story begun in his last collection, Ask The Posts of the House (2007) with a new set of intriguing narratives: urban fiction in 'Maggie Dawn'; contemporary comedy in 'We'll Always Have Paris'; the science fiction novella in 'Purity of Ice'; the new genre of conservation fiction in 'Orbis Terrarium'; the different ways of telling history in the title story; and an adaptation into novella, 'One More Night', of Albert Belz's play, Whero's New Net, which itself was adapted from stories in Ihimaera's second short story collection, The New Net Goes Fishing (1976). The ideas continue to affirm Ihimaera's place in New Zealand literature as one of our finest storytellers. Witi Ihimaera was the first Maori to publish both a book of short stories and a novel, and since then has published many notable novels and collections of short stories. Described by Metro magazine as 'Part oracle, part memoralist, Ihimaera is an inspired voice, weaving many stories together', he has also written for stage and screen, edited books on the arts and culture, as well as published various works for children. His best-known novel is The Whale Rider, which was made into a hugely, internationally successful film in 2002. His novel Nights in the Garden of Spain was also made into a feature film, and was distributed internationally under the name of Kawa. The feature film White Lies was based on his novella Medicine Woman. His first book, Pounamu, Pounamu, has not been out of print in the 40 years since publication. He has also had careers in diplomacy, teaching, theatre, opera, film and television. He has received numerous awards, including the Wattie Book of the Year Award and the Montana Book Award, the inaugural Star of Oceania Award, University of Hawaii 2009, a laureate award from the New Zealand Arts Foundation 2009, the Toi Maori Maui Tiketike Award 2011, and the Premio Ostana International Award, presented to him in Italy 2010. In 2004 he became a Distinguished Companion of the Order of New Zealand (the equivalent of a knighthood). Witi Ihimaera has said that he considers 'the world I'm in as being Maori, not European' and that he writes from this perspective. While much of his fiction is based on fact, it is not strictly autobiographical but is an imaginative recreation of places, people and circumstances. For a period of about 10 years, though, he stopped publishing, feeling that his attempts to capture the emotional landscape of Maori were being perceived as the 'definitive portrayal' of Maoridom. This was from the mid-1970s when there was a resurgence of Maori activism. Receiving the premiere Maori arts award Te Tohutiketike a Te Waka Toi, Ihimaera said, 'To be given Maoridom's highest cultural award, well, it's recognition of the iwi. Without them, I would have nothing to write about and there would be no Ihimaera. So this award is for all those ancestors who have made us all the people we are. It is also for the generations to come, to show them that even when you aren't looking, destiny has a job for you to do.' The Parihaka Woman, 'a fun dash through 19th-century New Zealand, speckled with adventure' (Bay of Plenty Times), was the third bestselling New Zealand fiction work in 2010. Recognised for its 'moments of tender beauty' (The New Zealand Herald) and for being 'richly imaginative and original ... surprising, inventive and deeply moving' it 'confirms Witi Ihimaera as one of New Zealand's finest and most memorable storytellers' (Tararua District Library). 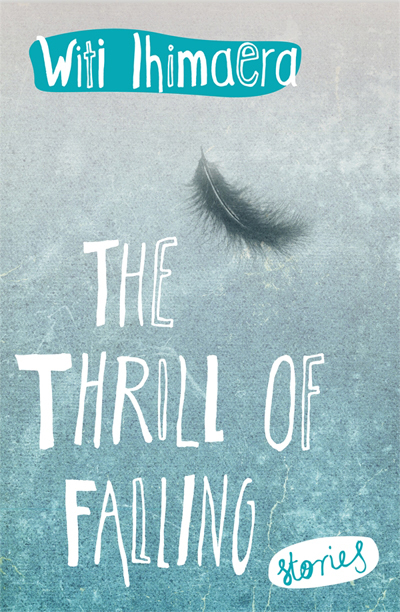 With The Thrill of Falling, Ihimaera has taken a new route with his writing, 'full of experimentation and literary derring-do' (John McCrystal, Weekend Herald). The Saturday Express noted that he writes with 'a great combination of the punchiness of a short story, along with more development of character and plot ... creating characters that seem to come alive off the pages', the Otago Daily Times reviewer noting that he weaves references to Maori mythology and New Zealand into his stories in 'an easy, playful and relaxed style, while pulling off twists and brilliant touches'.